Artesanally hand-sliced Spanish ham, from iberian pigs (50% breed), fed with cereals and aromatic grasses that provide it an excellent taste. 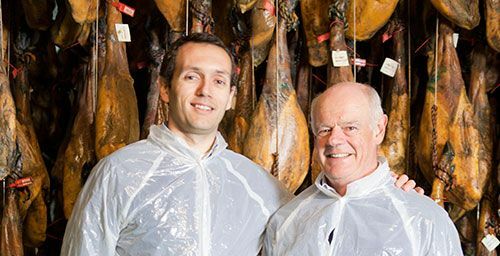 Artesanally hand-sliced Spanish ham, from iberian pigs (50% breed) from Extremadura, fed with cereals and aromatic grasses that provide it an excellent taste. 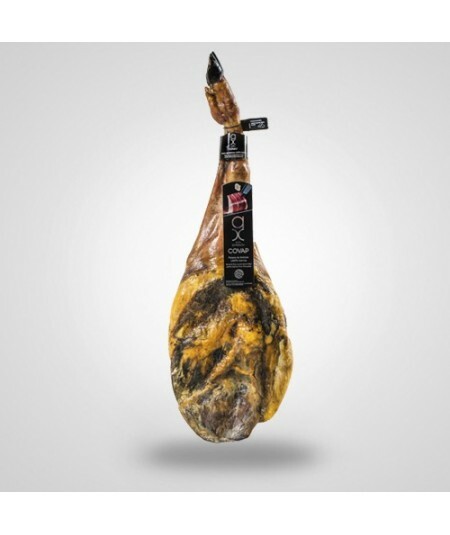 Hand sliced Spanish ham, made in traditional way from genetically selected 50% iberian pigs, exercised in Extremadura fields, with infiltration of unsaturated fat due acorn diet. Low salt content to enhance their own flavor and aromas. Healing 24 to 36 months approx.